There are many reasons why a cat eats fast and finishes a meal in a matter of seconds. 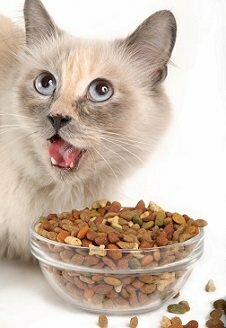 When a feline gobbles its food like it’s the last one in its life this is a situation that is not healthy for your pet. A consequence of this eating disorder is regurgitation of the food right after being eaten. 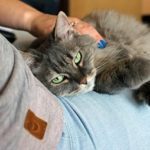 It’s important to note if a cat vomits its food all the time even if you got your kitty to slow down when eating you should take it to the vet to discard other health issues. 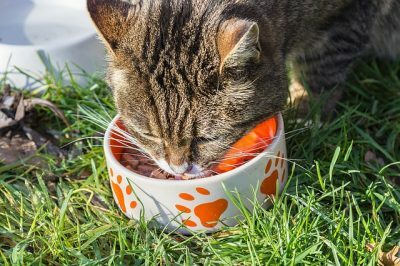 Why Does a cat eat too fast? There are various reasons why a cat could be eating too fast and vomiting the food. No matter why your feline inhales its food, you must stop this behavior before more health issues appear. The first step in order to help your kitty is knowing the cause of this bad eating behavior. Some cats just love eating, they are food lovers and as soon as they see food on their plate they inhale it with no control. When a cat is food-obsessed a main concern is obesity and diabetes. An obese and diabetic cat urges eating all the time and in large amounts. If your cat is chubby and gobbles its food all the time, it’s time to put your cat on a diet and re-educate its eating behavior. Food competition creates anxiety in cats and it happens when two or more felines have to share the food at home. A single cat doesn’t urge in finishing its meal fast because there isn’t any threat that could steal its resources in its territorial dominance. In multi-cat households conflict between cats can occur where the dominant cat steals the other cat’s food. Cats are not meant to share territory and food and when you put down a bowl with food the fast-eater needs to finish its meal as soon as possible to start eating the food from the other bowl. This eating behavior is unhealthy not only for the fast-eater but also for the slow-eater, especially if a kitten doesn’t get to eat. A rescued cat that suffered malnutrition during its first years of age will develop anxiety regarding food. Cats adapt to their environment through behaviors and the lack of food in the first years of a cat creates the “eat the food fast before it’s gone” mindset. In other words, cats that have suffered hunger in its early years will develop an adaptive behavior of eating fast. Cats prefer eating several times throughout the day, especially kittens. Feeding a cat only once a day or even twice will create excess of hunger by the time the cat has the food available. This will cause a cat to develop the eating disorder of eating too fast. Just imagine yourself not eating at all during the day and having only one meal at dinner time. Choose several frequent small meals for your cat. 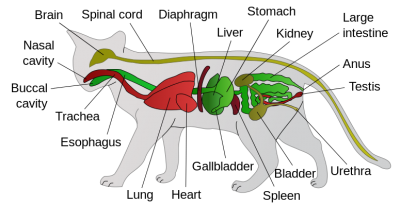 The cat digestive system is not designed to eat fast, the cat’s esophagus is horizontal rather than vertical. When a cat gobbles its meal the food bounces against the lower esophageal sphincter rather than slowly passing along. This causes the regurgitation of undigested food right after being eaten or even minutes after. The cat’s digestive system is designed to receive the food slowly. Eating too fast also creates stomach pain and discomfort in the cat due to excess gas. When a cat inhales the food it also eats too much air. There are many ways to help your kitty to slow down when eating its meal. 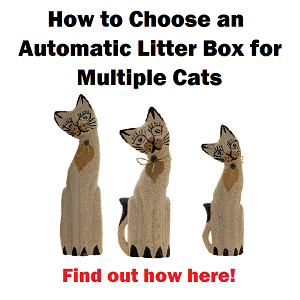 The effectiveness of each solution will depend on your type of cat or if you have a multi-cat household. 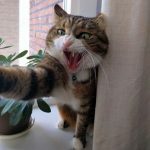 If you have two or more cats and one of your felines eats fast and then regurgitates the food, options are you have a kitty that has anxiety due to food competition. What you can do is separate the cats when time to eat, feeding them in separate rooms or creating cat feeding stations (in my article how to stop a cat from eating the other cat’s food I talk about creating feeding stations to separate cats). 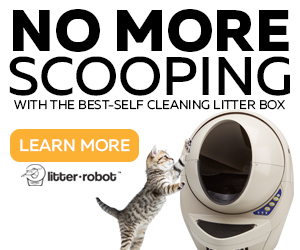 This will allow your other cats to enjoy a stress-free meal and the chubby cat to eat its meal only. 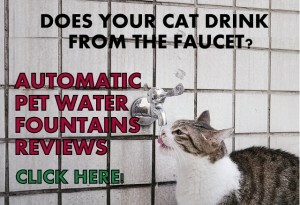 This action alone will help to keep your cat at a healthy weight. 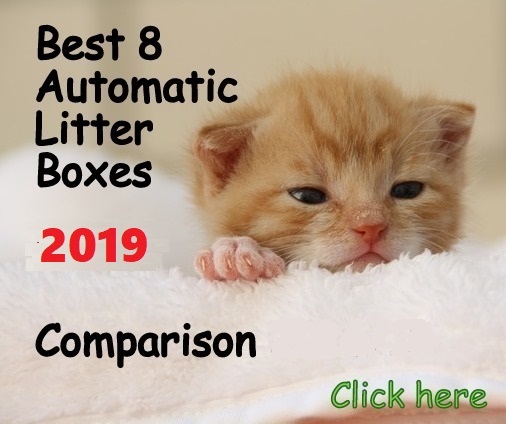 Additionally, you must slow down your fast-eater with toy feeders or with an automatic feeder that will split the daily food intake in several smaller portions. If you have a multi-cat household or a single cat it doesn’t matter. It’s crucial to slow down your fast eater to avoid further health issues with your pet. Fortunately, there are good options to accomplish this. 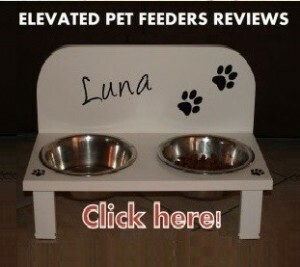 Slow feeding bowls and interactive toy feeders are designed to make cats work for their food. 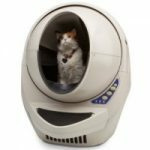 They feature prongs such as the Northmate Interactive Slow Pet Feeder, tunnels like the Trixie Tunnel, tubes like the Stimulo Cat feeding toy, or a mix of all, like the Trixie 5-in-1 cat activity board. The puzzles, prongs, tunnels or tubes act as a challenge that the cat will need to solve in order to eat the food. This type of feeding bowls and toys not only slow down a cat when eating but it also stimulates your cat mentally. Slow feeding bowls and toys force the cat to eat kibble by kibble at a time. Digital automatic feeders can be programmed to split the total daily food intake in several small portions consisting of a few kibble. Feeding a cat regular meals doesn’t help in stopping the behavior of eating too fast and then vomit. If you provide your cat very small portions, let’s say 10 kibble at a time, your feline won’t be able to inhale the food and then vomit. Very small portions can be programmed to be dispensed every 10 or 15 minutes until completing a full meal. And you can program 2, 3, 4 or more meals per day. 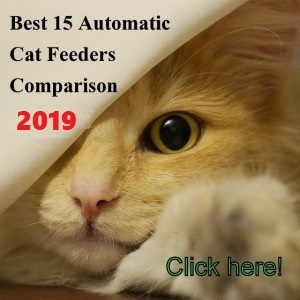 It’s important to mention that not all automatic feeders can do this, only devices like the PortionPRO RX or the Pet Feedster CAT have the ability to dispense very small portions of food at a time. Help a cat who eats too fast and then vomits may not seem that easy, but it’s not difficult with love and patience. 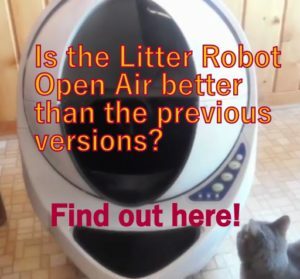 Your cat will be happier and healthier and you will save money and trips to the Vet.